These throw-down tennis court lines are the easiest way to quickly create a temporary tennis court for training or junior play. Can be used on any court surface. Play with the confidence that you will not slip over the court lines, thanks to their dimpled back which will grip to all smooth surfaces. Create fun training drills by decreasing the size of your tennis court with the temporary markers, improving reaction times and speed of thought. 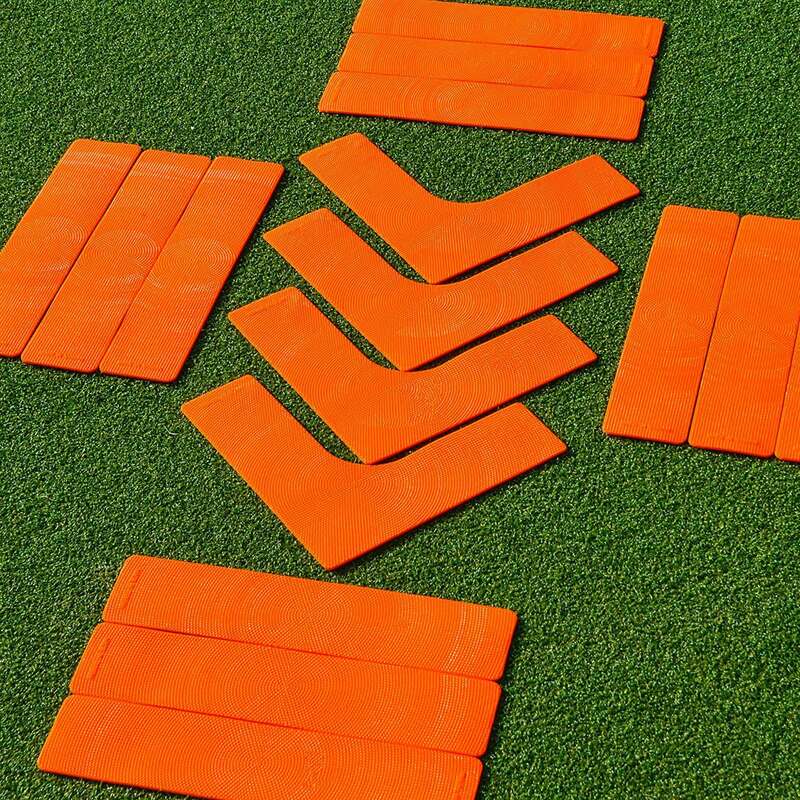 Not only great for Tennis, but can be used to mark out pitches, training drills and other courts or playing fields. Ideal for training sessions, matches and garden games, the Vermont tennis court lines allow you to mark out a temporary court, tailored to your surroundings. With sixteen dimpled pieces, slipping will not be a problem, whilst the throw down lines high-visibility orange colour ensures everyone can see that your backhand landed well inside the court. Sixteen court markers: four corner pieces and twelve straight lines. Dimpled thrown down tennis lines prevent slipping. Temporary court is 6m (20ft) wide by 13 ½m (44ft) long. Designed to facilitate the quick set up of temporary tennis courts, the throw down markers create a playing area suited to your surroundings. If space is an issue or you would like a more intense game, you can reduce the size of your temporary tennis court by removing markers, whilst increasing the space in-between each marking line allows more players to participate. On average you should be able to create a tennis court which is 6m (20ft) wide by 13 ½m (44ft) long. 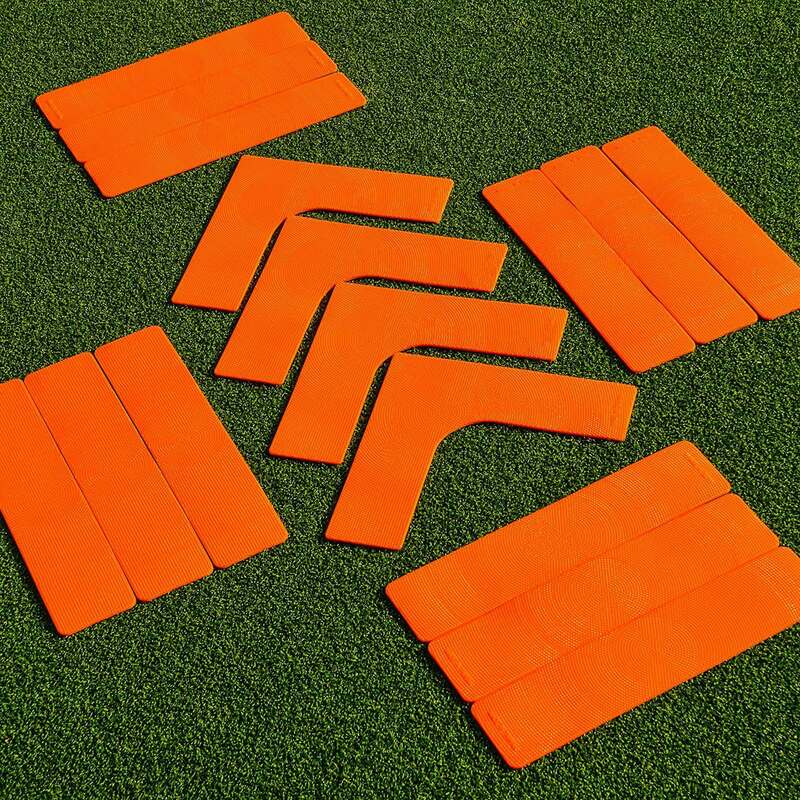 Vibrant orange in colour, the marker cones will be extremely easy to see during both indoor and outdoor tennis matches and training drills. To reduce the chances of you slipping on the sixteen court markers, they are manufactured from flexible rubber which features a pimpled underside. 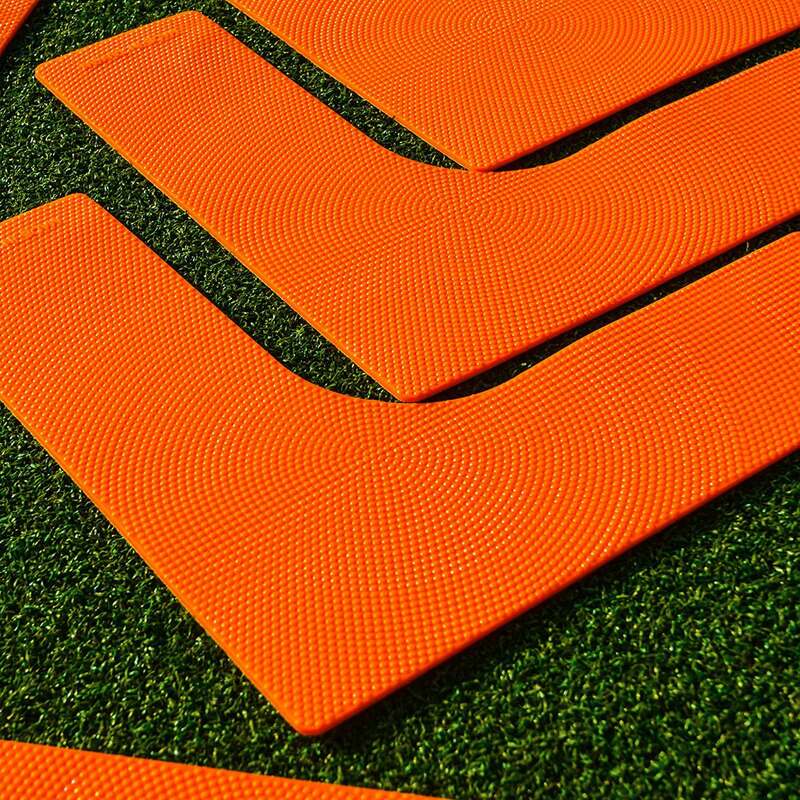 The textured back grips to the floor in the event a player should step on a marker, and with the ultra-durable rubber construction pieces will not become damaged when stepped on. Net World Sports stocks a wide selection of premium tennis equipment, to help you train and play like a professional player, including the Vermont Contender Tennis Racket, Vermont Training Tennis Balls [60 Balls] and the Vermont Round Tennis Posts which pair perfectly with the FORZA Tennis Court Lines. Creates a court sized: 6m (20ft) wide by 13 ½m (44ft) long.